A creative and playful frog prince ring from the A. Leondarakis collection that puts an end to the search for your handsome prince. 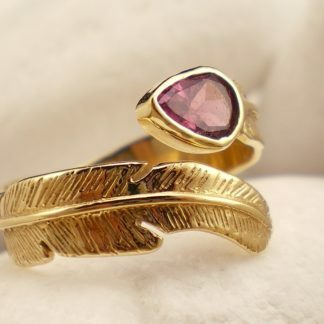 The ring’s design is inspired by “The Frog Prince” fairy tale. 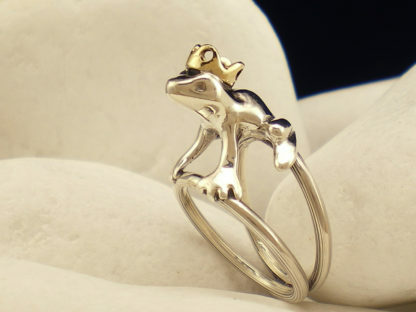 The crowned frog prince is standing on two rings that are linked on the lower side. 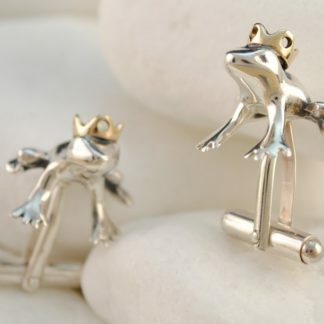 The rings are handcrafted from solid 925 sterling silver as is the frog figure. 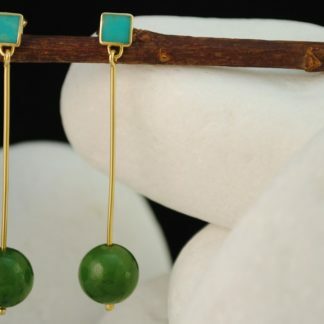 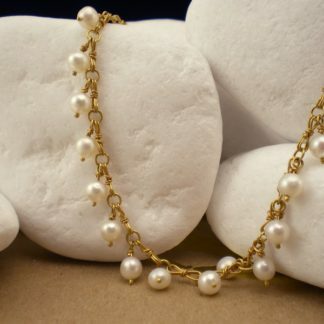 The frog’s crown is handcrafted from solid 14K gold. 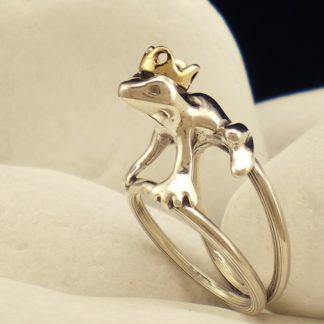 On the inside the frog prince ring carries the metal fineness stamps, the Workshop code ΩΙ34 and the ELKA quality hallmark (Hellenic Silver and Goldsmith Center).